It’s taken me a while, but I think I have finally figured out what it is that I dislike so much about our present government in the UK. 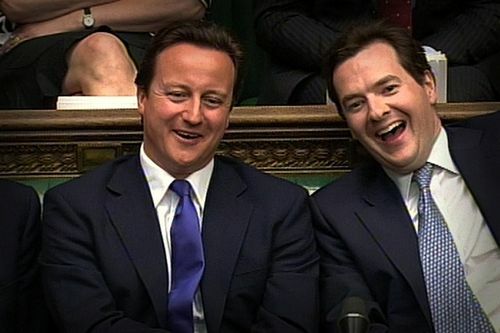 The constant factor is this: they talk and behave like they are our rulers rather than our government. Is this a fine distinction? Heck, no. It’s almost the opposite. The Internet is a frankly incredible design. The IP protocol, which is at its heart, is technology from 1974. TCP, which implements connections on top of IP’s packet delivery, is from the same year. Forty-two years on, both are essentially unchanged. Even DNS, the domain-name service, dates back to 1983, and is going strong 33 years in with only minor tweaks. The only big change in this time has been the slooow migration (still in its early stages really) from IPv4 to IPv6 — something that has proven necessary as the Internet has been so wildly more successful and popular than anyone anticipated, and the 32-bit-wide host addresses are running out. But in the scheme of things, this is a minor tweak. We’re running the Internet on 1970s technology, not due to sloth, but because it’s good. Left: spinach, egg and parmesan cheese. Right: cream cheese, smoked salmon and basil. Both these pies were absolutely delicious, but they both had structural issues. 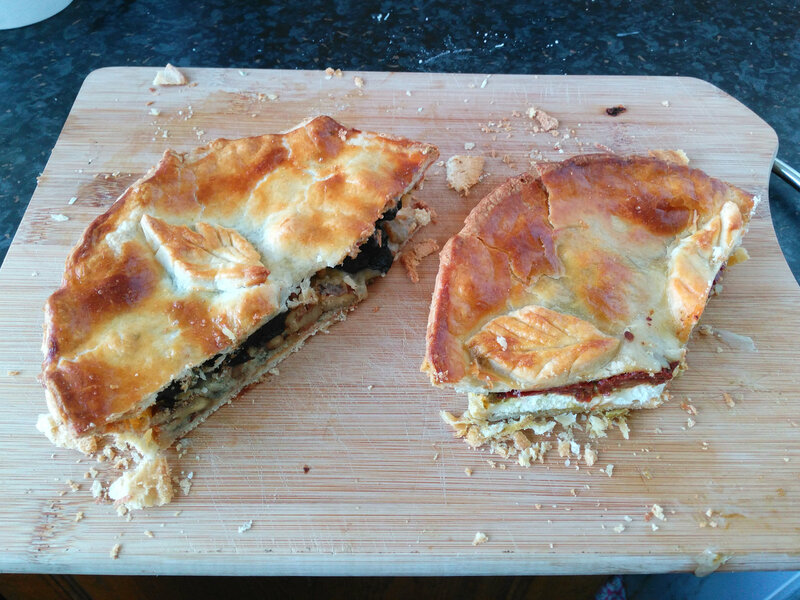 A while back, I made four minature savoury pies as an experiment. It worked out very well on the whole. So for a recent dinner party, when we had a vegetarian guest, I made the best two in a larger form as a starter. On that occasion I didn’t take photos. 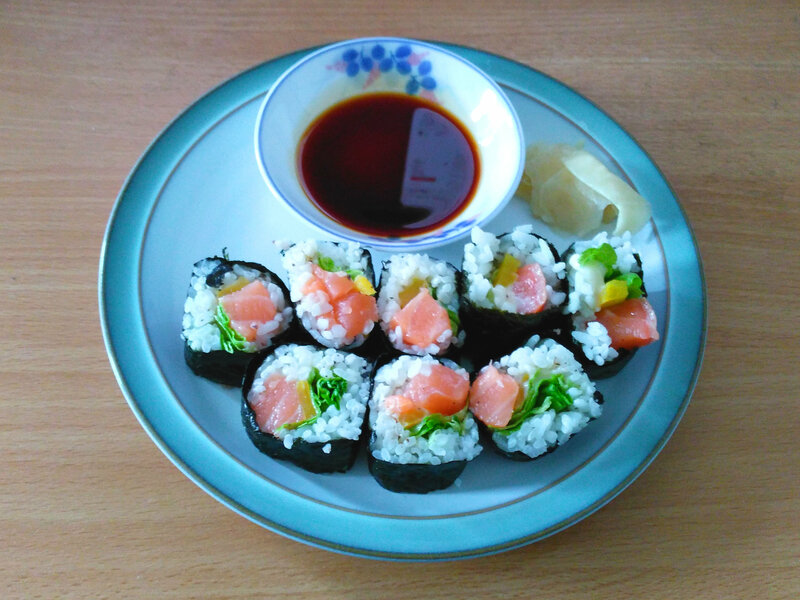 But today I made them again, and this time I did. These are unquestionably the best pies I have ever made. And … oh, should I say it, should I say it? What the heck, I will: they are the best pies I have ever tasted, too. 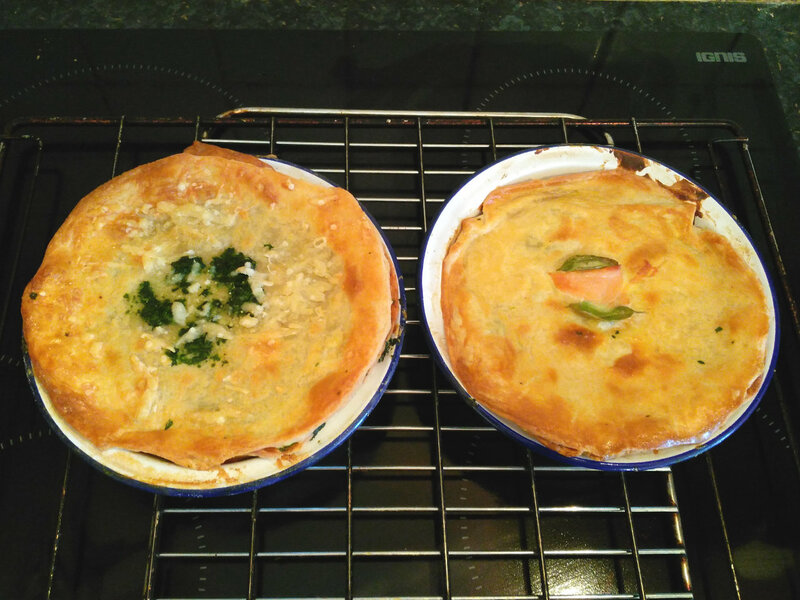 As my family will eagerly confirm, I am not one to boast about my own cooking; but for these pies, I make an exception.